The Village of Cooperstown was in need of a website that was easy for village staff to manage and update. Being a tourist hotspot they needed relevant information for visitors. Trolley schedules, easy to find forms and event schedules are just a few. Village locals have also benefited from a redesign of the old site. News pertaining to road work, events and scheduled maintenance have helped keep village residents informed. Being a tourist town most of our visitors are on their mobile device looking for information. A mobile optimized site was a must to deliver the content needed by these individuals. 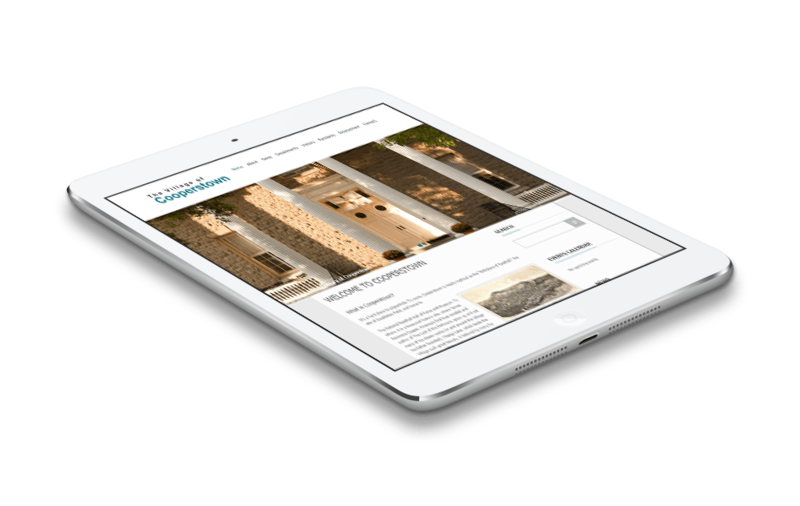 The Village needed a website that reflected the quality of services that it’s offers to it’s residents and visitors. The old site has dead links, confusing navigation and was not able to be updated by village staff. A new site on a new platform solved all those issues for the Village. Having control over what is posted to your site helps in the over all flow of your business. Cutting out the middle man to post content on your site allows for quick site updates on your time.